Whether it’s retail, hospitality, restaurants or any other industry, the importance of having an omni-channel strategy is gaining traction among business owners. As consumers adapt to new technologies and begin to experience innovative payment experiences, they start expecting it in all environments, including healthcare providers. E-mail and web-based portals for managing financial transactions and bills due. Smartphone apps offering bill reminders and mobile payments. In-person payment technologies that accept the latest forms of payment methods including EMV, magstripe and NFC/contactless-enabled mobile wallets, such as Apple Pay and Samsung Pay. In order to enhance the convenience of paying for items bought in retail, stores have been looking to bring payments to the consumer with mobile point of sale (mPOS). These mPOS solutions allow merchants to offer in-aisle checkouts at retail stores. Similarly, mPOS solutions can help hospital or clinical staff accept payment from patients anywhere in the continuum of care, including in a patient’s room or in the waiting room. Implementing this strategy can help healthcare institutions increase patient collections at the time of care and reduce bad debt. Smartphone apps: As mentioned earlier, smartphone apps allow patients to easily & securely pay through their phones up-front or after care. This also helps create an additional touchpoint with the patient other than meeting them in-person and online. Accepting mobile wallets: By accepting mobile wallets such as Apple Pay and Samsung Pay, hospitals and clinics can give patients more options to securely and quickly pay for care. Behavioral change: By giving patients omni-channel options to pay for care faster, reliably and up-front, healthcare institutions can help create behavioral change among patients. 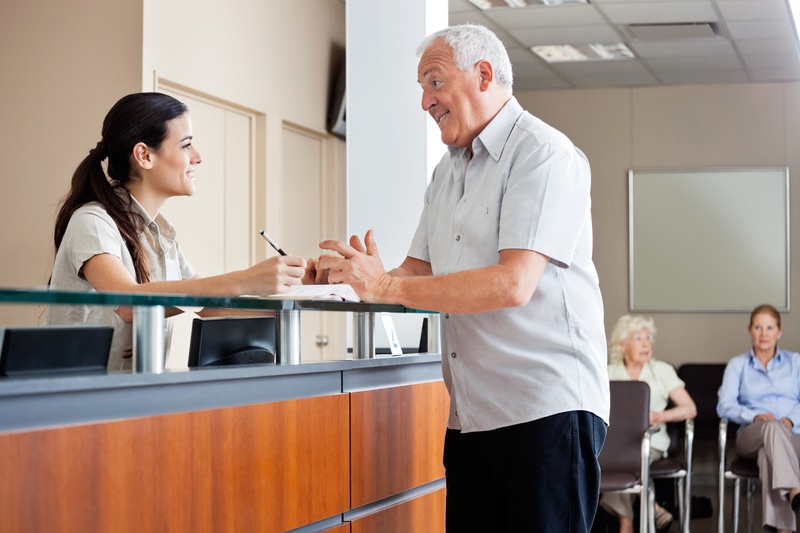 Convenient and flexible payment options encourage patients to pay promptly, which helps avoid unwanted collections and the risks of unpaid bills. A retailer’s primary motivation is to provide customers with a positive experience that turns them into repeat buyers. According to a recent PwC report, retail customers who have a good in-store experience are more likely to go back to that store. On the online front, eCommerce personalization enables retailers to offer customized service with coupons, product inventory information, product recommendations and even seamless payment acceptance. Consumers increasingly expect this personalized and immersive experience, whether it’s in-store, online or via mobile and unattended technologies. Healthcare providers need to respond accordingly by leveraging the latest omni-channel technologies and strategies to deliver the same personalization and customized service. Omni-channel is here to stay and many industries are already adopting this approach. Forward-looking healthcare institutions need to start reaching their patients through multiple channels with seamless experiences across the board. They need to consider implementing this omni-channel approach as a part of their overall payments strategy to reach their patients wherever they are and get ahead of the curve. If you’re looking to get started, contact us to learn which omni-channel approach is best for your hospital or clinic.